What happens to your annuity when you die? Do you get to pass along the value of the annuity to your children or heirs? In most cases the answer is yes, but with two major caveats. Fixed and Fixed Indexed Annuities paying “lifetime income” benefits generally do not provide an inheritance unless they specifically specify otherwise. In the cases where they do provide an inheritance, there is a guarantee of a minimum number of payments. Any payments that are not distributed to you below the minimum before you die, will go your heirs. Variable Annuities will always provide for inheritance unless the value of the annuity is zero. As you start receiving payments from a variable annuity, you lower the value of the annuity by the amount you withdraw. If the annuity has no value, there will be nothing for your heirs to inherit. How much will your heirs inherit? With a fixed deferred annuity, the answer is very simple. The present value of the annuity. However, the answer becomes more complicated with index and variable annuities. Here are some of the major type of annuity death benefits with these types of annuities. Stepped-up death benefit: the balance of the annuity contract is recorded the year after the purchase date and each year after that. The death benefit is then determined by the highest value of those different anniversary values, minus any fees concerned or withdrawals. A beneficiary may have different options for accepting a death benefit. These options include payment of a lump sum, regular income payments, deferral of receiving the death benefit, or taking over ownership of the annuity contract (for example, as a spouse). 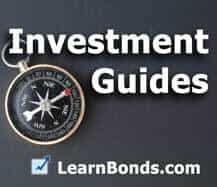 This lesson is part of our Free Guide to Investing in Annuities. Continue to the next lesson here. what if a person had a stroke – did not remember the policy… lived 20 more years and the policy never paid out? Can that policy now push it to (within 3 months of notification of it) we turn it over to the State Treasury – versus they need to pay back the 20 years annuity payments they should have done? ?